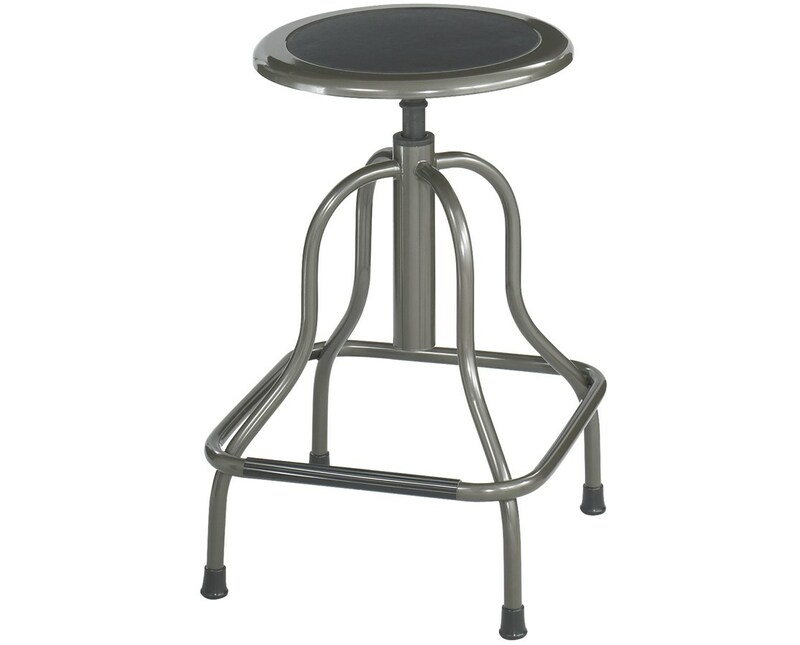 Adjustable height of 22" to 27"
With its sturdy build, the Safco Diesel High Base Stool is ideally suited for use in the industrial, institutional and educational industries. It features a weight capacity of 250 lbs and a seat height that can be adjusted manually from 22 to 27 inches with the screw lift. The legs hold a foot ring that gives additional comfort and durable rubber feet that protect floors from scratches. An option for a type with a 12-inches wide backrest is also available. 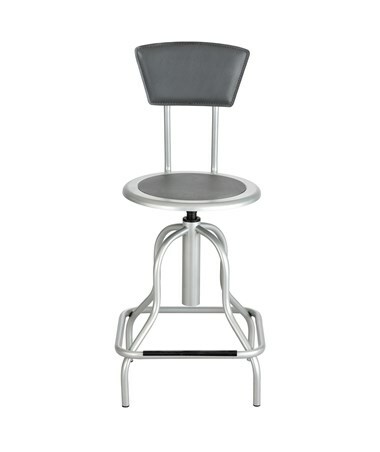 This stool is made of steel with the 14-inches diameter seat having recycled leather padding. 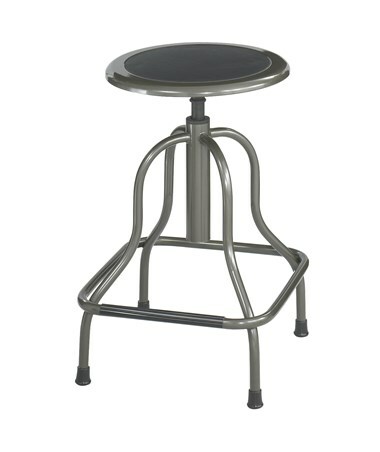 GREENGUARD certified that this stool is safe for indoor use. 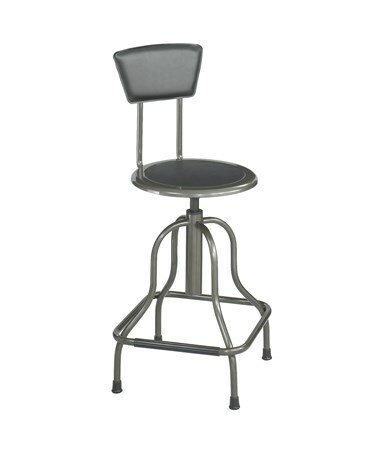 The Safco Diesel High Base Stool is available in three types. Please select your preference from the choices above.